The 400-megawatt Elmer Smith Power Plant began operations in 1964 and has been the sole source of electricity for Owensboro for over five decades. Virtually all of the 1.25 million tons of coal that it burns annually is produced by mines in neighboring counties. Owensboro has occupied a high bank on the Ohio River for more than 200 years. The Lewis and Clark Expedition wintered in the area prior to setting out on its trek across the West in 1804. Owensboro’s riverfront park, opened in 2012, is a six-acre feature of the $250 million public and private investment over the last seven years that redesigned and modernized the city’s downtown. Bluegrass music is a core component of Owensboro’s economic development strategy. 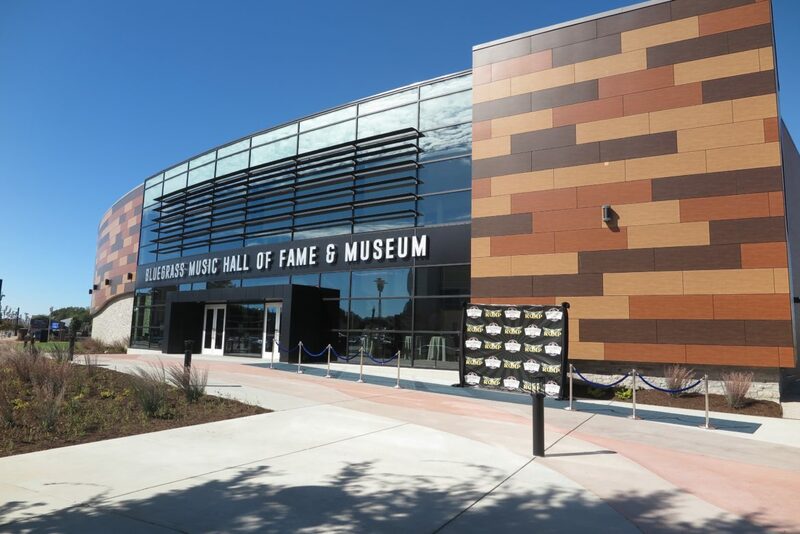 The $15 million Bluegrass Hall of Fame and Museum opened on a downtown riverfront site in October 2018. Alorica said it was attracted to Owensboro’s rebuilt downtown and its evolving economy of professional and financial services. The California-based company renovated a five-story office building in downtown Owensboro and in 2017 opened a new call center that employs over 500 people. While bittersweet for some, a prospering Kentucky city prepares to phase out its coal-burning power plant. OWENSBORO, KY. — This Ohio River city was founded as a frontier, wood-burning port at the start of the 19th century. It powered its 20th-century manufacturing sector with coal. In the 21st, Owensboro is crossing its newest energy threshold. 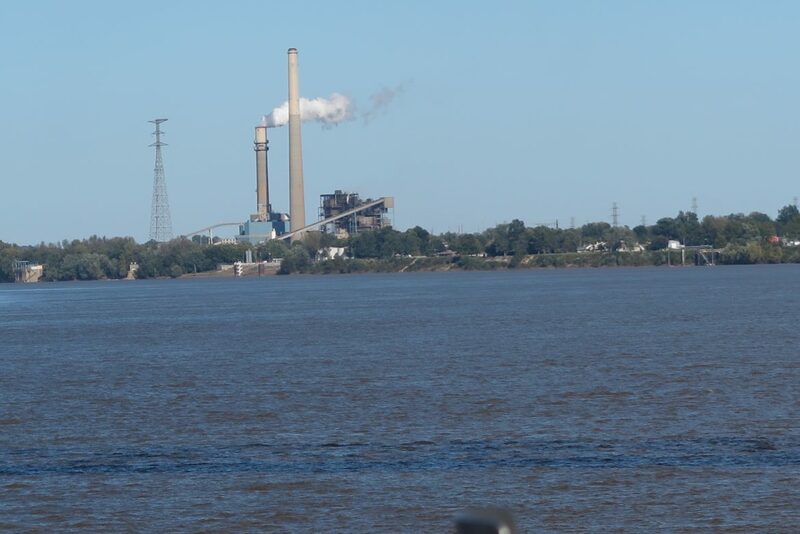 Sometime in the summer of 2019, the city-owned Owensboro Municipal Utilities will close the first of two coal-fired generating units at its 55-year-old Elmer Smith Station. In early 2020, OMU will shut the second unit at the 400-megawatt plant, ending 120 years of supplying the city’s electricity fueled solely by fossil fuel. But the energy transition unfolding in this old city, which has experienced the closing and opening of every economic era in America, is both more complicated and more encouraging than the widespread job losses and civic desolation that characterize coal plant shutdowns in other Ohio River Valley towns. OMU’s decision to replace coal with a cleaner and less expensive mix of generating technologies is the newest feature of the city’s intentional economic evolution from fossil-power-hungry manufacturing to a prosperous center of tourism and energy-efficient professional and financial services. The 400-megawatt Elmer Smith Power Plant. Owensboro has been around so long that the Lewis and Clark Expedition wintered here in 1804 before embarking on its trek across the West. Owensboro, now a city of 59,000 residents, has variously thrived and wilted with the economic eras — trade, agricultural, industrial — that opened and closed along the river. At the turn of the 21st century, residents and local elected and business leaders encountered a new reckoning. Rust Belt conditions that defined the upper Ohio River Valley — unemployment, declining housing prices, business bankruptcies — were creeping downriver, ever closer to the city. In 2009, in the depths of the Great Recession, elected members of the city council and the Daviess County Fiscal Court acted with uncommon purpose. They approved a small tax increase to raise $80 million in public funds to modernize the city’s moldering downtown, build a convention center, and construct a magnificent riverfront park. It was an audacious move in a deep red, politically conservative region that is suspicious of tax increases and big public investments for public purposes. The intent was to leverage public investment to encourage private investment in retail, residential, lodging and business projects. It worked. Public investment attracted $200 million in private investment that remade the city and its economy. In the decade since the 2009 vote, Owensboro has been among the state’s biggest job generators. In 2016, for instance, the city attracted California-based Alorica, which reconstructed a five-story downtown office building and in 2017 opened a new call center that employs more than 500 people. Owensboro also incorporated novel ideas into its growth. It embraced bluegrass music as a signal feature of its development strategy, supported the internationally-recognized annual ROMP bluegrass music festival, and last year opened the $15 million Bluegrass Hall of Fame and Museum. The music center and museum, paid for with public and private funds, is flanked by new riverfront hotels, apartments, and sidewalk cafes on Second Street, Owensboro’s central business boulevard. The Bluegrass Hall of Fame and Museum. The tide of economic innovation that swept through Owensboro, much of it led by former Mayor Ron Payne, reached the offices of the city’s utility. Pressed by the aging equipment in its electrical plant and expensive but necessary upgrades to coal ash handling and other pollution control systems, OMU managers in 2012 launched a thorough appraisal of the plant’s generating costs and potential changes in power supply. The review was timely. Built under a joint agreement with Kentucky Utilities to serve growing markets in Owensboro and Louisville, over 100 miles upriver to the east, Elmer Smith’s 137-megawatt Unit One opened in 1964. Unit Two, 263 megawatts, started a decade later. The plant’s construction occurred during a period of double-digit demand in power supply statewide and in the Southeast. Utility companies in Kentucky were supplied with abundant, cheap coal and in turn gave their customers the lowest electricity rates in the country. The Elmer Smith plant was well positioned to supply all the electricity the city needed. It sat close to Kentucky’s rich western coalfields, and near the center of one of the planet’s heaviest concentrations of coal-burning power stations. A dozen big plants operated within 50 miles of Owensboro in Kentucky and Indiana, including the Tennessee Valley Authority’s 2,159-megawatt Paradise Fossil Plant in Muhlenberg County. Peabody Energy’s surface mine in Muhlenberg supplied the more than 7 million tons of fuel the plant consumed each year, and inspired a famous John Prine song in 1970. But unyielding trends in new technology, rising production costs, and pollution reduction rules required OMU to take a close look at Elmer Smith. Despite the allegiance to coal expressed by OMU’s senior staff, many of whom spent part of their careers at Elmer Smith, the utility gradually accepted the results of its review, especially projections that showed keeping the plant open would be much more expensive than closing it and seeking alternative power generation. A separate analysis in 2016 by the Cleveland-based Institute for Energy Economics and Financial Analysis confirmed that conclusion. It found that if the utility spent tens of millions of dollars to upgrade Elmer Smith to keep it operating, retail electric rates in Owensboro would climb, perhaps 20 percent by 2018, and 80 percent by 2025. Generating more power from solar stations would keep electricity rates stable, the IEEFA study said. OMU looked at the numbers and announced that Elmer Smith would be shut, partially in 2019 and completely by 2023. Last year OMU quickened the schedule to close Unit Two by early 2020. OMU announced a strategy for supplying the city’s power that would have been earthshaking early in the decade but entirely reasonable by its end. OMU said it would no longer produce its own power within city limits. It was buying 175 megawatts of coal-fired generating capacity from stations operated by Big Rivers Electric Corporation, a regional supplier. Another 26 megawatts of power would be supplied by hydropower. And OMU signed a contract to purchase 32 megawatts of generating capacity supplied by the $112 million Ashwood Solar station, the largest solar-powered plant proposed in Kentucky to date. The 86-megawatt solar station is scheduled to open in 2022 on an 800-acre site in Lyon County, Kentucky, about 120 miles southwest of Owensboro. KyMEA, a consortium of municipal utilities in Kentucky, is purchasing the other 54 megawatts. The solar developer, Texas-based Open Road Renewables, said the construction timetable coincides with the end of the tariffs that President Donald Trump levied on most imported solar panels last year. Though 90 percent of OMU’s electricity will still be fueled by coal, closing Elmer Smith is the latest blow to Kentucky’s steadily shrinking coal mining industry. Elmer Smith burned 1.25 million metric tons of coal annually, most of it hauled to the plant by truck. Coal production statewide last year fell to 40 million tons. The number of miners statewide fell to 6,200, down from 18,000 in 2011. About 2,500 of them worked in the western coalfields, according to state figures. The TVA, which replaced two of the Paradise plant’s coal-burning units with natural gas, is weighing whether to close the 1,150-megawatt third unit. Last year, the number of coal-fired generating units at Kentucky power stations fell to 41, 15 less than in 2011. Coal now fuels 79 percent of Kentucky’s generating capacity, down from over 95 percent at the start of the decade, according to the U.S. Energy Information Administration. Natural gas fuels much of the difference. Still, Kentucky’s shift away from coal is not rapid enough to protect customers from rapidly climbing electricity rates. At more than 10 cents per kilowatt-hour on average, according to the EIA, they are still less than the average national rate but more than double what they were in Kentucky a decade ago. OMU, like other Kentucky utilities, is just dipping its toe in the renewable sector. Statewide, the sun powered 53 megawatts of generating capacity last year, a mere blip in the state’s 20,000-megawatt annual capacity. Almost every other state generates considerably more. Indiana alone developed 154 megawatts of new solar capacity in 2018, and boasts more than 3,000 solar-related jobs, according to the Solar Energy Industries Association, an industry trade group. Closing the Elmer Smith Station fits Owensboro’s broader strategy of economic evolution and provides a useful model for the state and other small, coal-dependent cities to study. It’s a formative display of what can be achieved when elected and appointed leaders have the courage, and the data, to make the case for thoughtful change. What comes after coal for the Tennessee Valley Authority? A draft operating plan released Friday calls for a shift to natural gas and distributed generation. An industry-backed effort aims to end ORSANCO’s role in setting and enforcing pollution standards. “To stay viable, the city realized it had to be innovative,” said one booster behind Benham, Kentucky’s solar push.